We offer a fully equipped workshop and are able to offer all sorts of upgrades from new handlebars, stems, group sets, crank sets to new cassette/chain/derailleur combination to suit your type of riding. 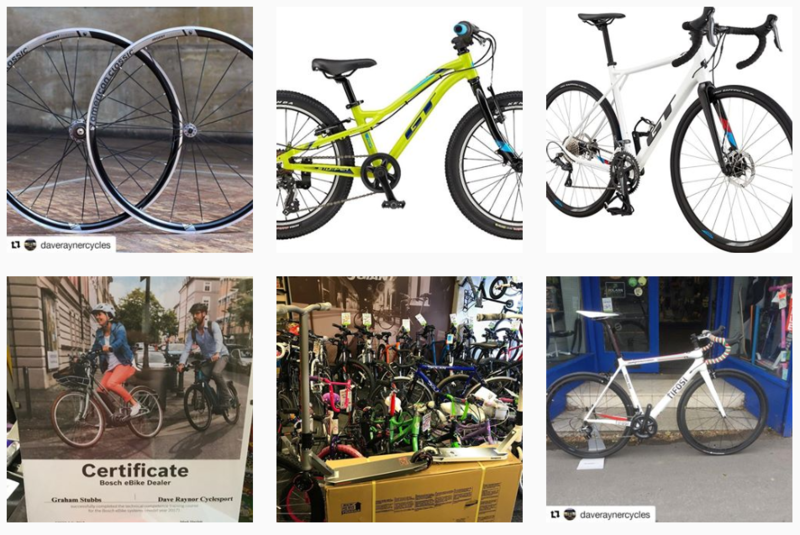 Build your dream bike here at Dave Rayner cycle sport! Along with all the components you need, it has never been easier to build your perfect custom ride. Make a statement, reflect your personality or build the perfect commuter – with the help of our experienced/qualified staff . 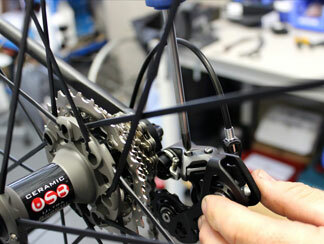 Any new parts fitted to the bicycles during the servicing will be charged at normal retail prices. If it’s a larger item (more than £10) we will always discuss this before going ahead and fitting the parts. 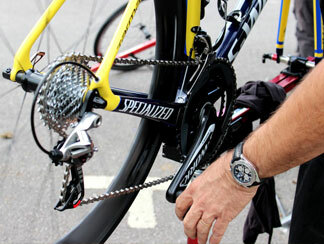 You don’t have to have a complete service when you bring your bicycle to us. Ensure that the front and rear brakes are working properly. 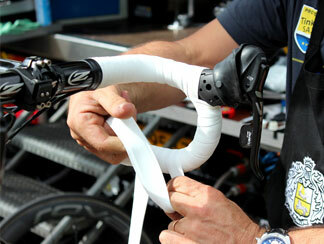 If the brake lever pulls against the handlebar grip, the brake cable needs adjusting. This is done by loosening the brake cable anchor bolt, pulling the cable tighter, and tightening the anchor bolt again.